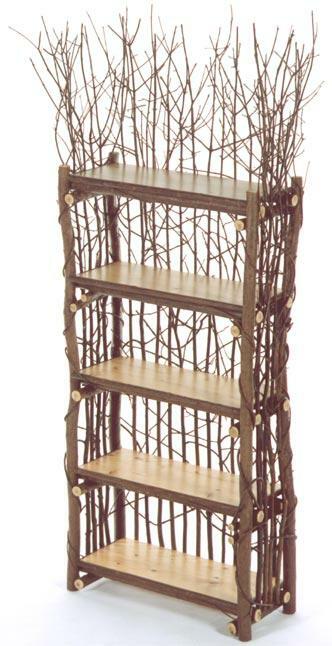 #4425 Sunburst Etagere with 5 Barn Wood Shelves 36 x 12 x 78H Also available with willow, oak, or pine shelves. 3-, 4-, and 6-shelf versions also available. #4010 Willow Desk with Willow Inlay Top and Sides #1510 Taos Side Chair Size custom made to customer’s specs. 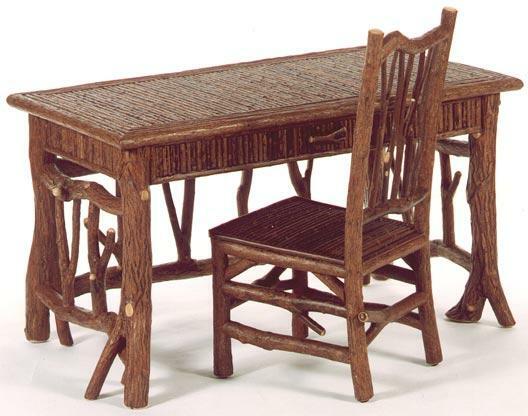 Willow Desk with willow inlay top and sides. For chair, see ‘Chairs and Swings’ section.